This article lists the political leaders of North Korea, officially the Democratic People's Republic of Korea (DPRK). At the end of World War II, Soviet Union occupied the northern half of Korea and in 1946 established the Provisional People's Committee for North Korea chaired by Kim Il-sung. On 9 September 1948, the DPRK was proclaimed, also led by Kim Il-sung. 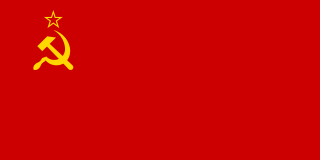 The Soviet Civil Administration (SCA) functioned as the occupying government of northern Korea from October 3, 1945 until the founding of the Democratic People's Republic of Korea in 1948 although it governed concurrently after the setup of the Provisional People's Committee for North Korea in 1946. It was the administrative structure that the Soviet Union used to govern what would become North Korea following the division of Korea. Terentii Shtykov was the main proponent of setting up a centralized structure to coordinate Korean People's Committees. The setup was officially recommended by General Ivan Chistyakov and headed by General Andrei Romanenko in 1945 and General Nikolai Lebedev in 1946. The supreme leaders of the DPRK have been Kim Il-sung, his son Kim Jong-il, and his grandson Kim Jong-un. In this role they have not held consistent titles, though they were each leaders of the Workers' Party of Korea (WPK)—titled as Chairman from 1948 to 1966, General Secretary from 1966 to 2011, First Secretary from 2011 to 2016, and finally Chairman again since 2016—for almost all of their period in power. Even though they have the appearance of a dynasty, succession is informal. Kim Jong-il was the second leader of North Korea. He ruled from the death of his father Kim Il-sung, the first leader of North Korea, in 1994 until his own death in 2011. He was an unelected dictator and was often accused of human rights violations. Kim Jong-un is a North Korean politician serving as Supreme Leader of North Korea since 2011 and also serving as the Chairman of the Workers' Party of Korea since 2012. Kim is the second child of Kim Jong-il (1941–2011) and Ko Yong-hui (1952–2004). He is the grandson of Kim Il-sung, who was the first leader of North Korea from 1948 to 1994. Kim is the first North Korean leader who was born after the country's founding. The Workers' Party of Korea (WPK) is the founding and ruling political party of North Korea. It is the largest party represented in the Supreme People's Assembly and coexists de jure with two other legal parties making up the Democratic Front for the Reunification of the Fatherland. However, these minor parties are completely subservient to the WPK, and must accept the WPK's "leading role" as a condition of their existence. From 1948 to 1972, the nominal head of state was the Chairman of the Standing Committee of the Supreme People's Assembly (SPA). In 1972, the constitution was amended to create an executive presidency. Kim Il-sung, who had served as Premier of North Korea since the DPRK's inception, was unanimously elected President of North Korea by the Supreme People's Assembly on December 28. He held this office until his death on 8 July 1994 when he was proclaimed the "eternal President of the Republic". Since then, the practical functions of the head of state have been exercised by the President of the Presidium of the SPA. The Supreme People's Assembly is the unicameral legislature of the Democratic People's Republic of Korea (DPRK), commonly known as North Korea. It consists of one deputy from each of the DPRK's 687 constituencies, elected to five-year terms. The Premier of the Cabinet is nominally the non-executive head of government of North Korea. The office is also alternatively known as Prime Minister of North Korea. The current premier is Kim Jae-ryong. Kim Il-sung died on the afternoon of 8 July 1994 at age 82. North Korea's government did not report the death for more than 34 hours after it occurred. An official mourning period was declared from 8–17 July, during which the national flag was flown at half mast throughout the country, and all forms of amusement and dancing were prohibited. After the death of Kim Il-sung, his son Kim Jong-il was understood to have inherited his father's near-absolute control over the country. Although he had been his father's designated successor since at least 1991, it took him three years to fully consolidate his power. He was elected general secretary of the party in 1997, and was reelected Chairman of the National Defence Commission (NDC) in 1998. During his rule he was given a range of titles. He ruled the country until his death on 17 December 2011. He was succeeded by his son, Kim Jong-un, who was revealed to be in charge of the country since his father's death by the Rodong Sinmun and finally publicly acknowledged as supreme leader at the military review ending Kim Jong-il's funeral on 29 December 2011. The National Defence Commission of the Democratic People's Republic of Korea (NDC) was the highest state institution for military and national defence leadership in North Korea, which also served as the highest governing institution of the country from 1998 until 2016 when it was replaced by the State Affairs Commission. The death of Kim Jong-il was reported by North Korean state television news on 19 December 2011. The presenter Ri Chun-hee announced that he had died on 17 December at 8:30 am of a massive heart attack while travelling by train to an area outside Pyongyang. Reportedly, he had received medical treatment for cardiac and cerebrovascular diseases. During the trip though, he was said to have had an advanced acute myocardial infarction, complicated with a serious heart shock. However, it was reported by South Korean media in December 2012 that he had died in a fit of rage over construction faults at a crucial power plant project. Rodong Sinmun is a North Korean newspaper that is the official newspaper of the Central Committee of the Workers' Party of Korea. It was first published on November 1, 1945, as Chǒngro, serving as a communication channel for the North Korea Bureau of the Communist Party of Korea. It was renamed in September 1946 to its current name upon the steady development of the Workers' Party of Korea. Quoted frequently by the Korean Central News Agency (KCNA) and international media, it is regarded as a source of official North Korean viewpoints on many issues. The government is headed by the Premier of the Cabinet, formerly called Premier of the Administration Council. In the North Korean government, the Cabinet is the administrative and executive body. The North Korean government consists of three branches: administrative, legislative, and judicial. However, they are not independent of each other. The Cabinet of North Korea (Naegak) is, according to the Constitution of North Korea, the administrative and executive body and a general state-management organ in the Government of North Korea. The Cabinet's principal newspaper is Minju Choson. Other important institutions include the SPA, whose sessions are chaired by the Chairman of the Supreme People's Assembly, and, since 1993, the Chairman of the NDC–since 2016, known as the State Affairs Commission–which holds supreme command of the DPRK's armed forces. Since 1997, the SPA chairman, premier and NDC/SAC chairman have officially formed a triumvirate heading the executive branch, with powers equivalent to one-third of a president's powers in other presidential systems. The SPA chairman conducts foreign affairs and receives the credentials of ambassadors, the premier handles domestic policy and the NDC/SAC chairman commands the armed forces. In practice, however, the real power is vested in the SAC chairman (who has also been leader of the WPK), an office constitutionally defined as the "highest post in the state”. The Constitution of North Korea has recognized the title "Supreme Leader" since 2009, when the Chairman of the National Defence Commission was formally designated as "the Supreme Leader of the Democratic People's Republic of Korea" (Korean: 조선민주주의인민공화국의 최고 지도자). It was slightly amended in 2012, with "Chairman" replaced by "First Chairman." It was further amended in 2016 to reflect the replacement of the NDC with the State Affairs Commission. Kim Jong-il died on 17 December 2011, but has since been posthumously named the "Eternal General Secretary". Thus his son and successor as leader, Kim Jong-un, was not given the title of General Secretary. Kim Il-sung died on 8 July 1994, but in 1998 was named "eternal President of the Republic". Thus his son and successor as leader, the late Kim Jong-il, was not given the title of President and the President of the Presidium of the Supreme People's Assembly became recognised as the de facto head of state. Kim Jong-il died on 17 December 2011, but has since been posthumously named the "Eternal Chairman of the National Defence Commission". Thus his son and successor as leader, Kim Jong-un, was given the title of "First Chairman". The politics of North Korea takes place within the framework of the official state philosophy, Juche, a concept created by Hwang Jang-yop and later attributed to Kim Il-sung. The Juche theory is the belief that through self-reliance and a strong independent state, true socialism can be achieved. The Socialist Constitution of the Democratic People's Republic of Korea is the constitution of North Korea. It states that the country is socialist and lays out the framework of the national government and the functions of the ruling state party, the Workers' Party of Korea in relation to the Cabinet and Supreme People's Assembly. The constitution is divided into 166 articles, split between three sections. Eternal leaders of North Korea refers to the practice of granting posthumous titles to deceased leaders of North Korea. The phrase "Eternal Leaders of Juche Korea" was established by a line in the preamble to the Constitution, as amended on 30 June 2016, and in subsequent revisions. The Supreme Commander of the Armed Forces of the Democratic People's Republic of Korea is the highest post in command of the Korean People's Army (KPA), the armed forces of North Korea, and is in charge of one of the largest standing armed forces in the world with around 1.8 million active duty military personnel and military reserves. Constitutionally, the position is attached to the office of Chairman of the State Affairs Commission. According to the constitution of North Korea: "The Chairman of the State Affairs Commission is the supreme commander of the whole armed forces of the Democratic People's Republic of Korea and commands and directs all the armed forces of the State." The Chairman of the Workers' Party of Korea (WPK) is the head of the Workers' Party of Korea, the ruling party of North Korea. The Chairman also serves as head of the Central Military Commission of North Korea and Chairman of the State Affairs Commission. Since the WPK's formation in 1946, the leader's post has been titled as Chairman (1946–1966), General Secretary, First Secretary (2011–2016), and Chairman again since 2016. Yang Hyong-sop is a North Korean politician. He was Chairman of the Supreme People's Assembly from 1983 to 1998. He has subsequently served as Vice President of the Presidium of the SPA. Ju Sang-song is a North Korean politician and former Minister of People's Security. Choe Thae-bok is a North Korean politician. He is a member of the Politburo and the Secretariat of the Workers' Party of Korea, and has been Chairman (speaker) of the Supreme People's Assembly (1998-2019). He was considered an advisor to Kim Jong-il, as well as a popular member of the core leadership. Kim Yong-ju is a North Korean politician and the younger brother of Kim Il-sung, who ruled North Korea from 1948 to 1994. Under his brother's rule, Kim Yong-ju held key posts in the Workers' Party of Korea during the 1960s and early 1970s, but he fell out of favor in 1974 following a power struggle with Kim Jong-il. Since 1998, he has held the ceremonial position of Honorary Vice President of the Presidium of the Supreme People's Assembly, North Korea's parliament. Vice Marshal Choe Ryong-hae is a North Korean politician and military official who has served as President of the Presidium of the Supreme People's Assembly and First Vice Chairman of the State Affairs Commission since April 2019. He is also a member of the Presidium of the Politburo and Vice Chairman of the Workers' Party of Korea (WPK). He also served as Supreme Leader Kim Jong-un's military second-in-command. The History of the Workers' Party of Korea (WPK) encompasses the period from 1949 onwards. Pak Jae-gyong, is a North Korean politician and soldier. A general in the Korean People's Army (KPA), Pak is a Vice Minister in the Ministry of People's Armed Forces as well as a member of the Central Committee of the Workers' Party of Korea (WPK). Pak is also a delegate of the 12th Supreme People's Assembly (SPA). 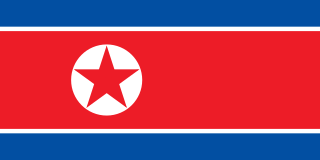 The 11th Supreme People's Assembly of North Korea was in session from 2003 until 2009. It consisted of 687 deputies, and held six sessions. Kim Rak-hui was a North Korean politician. Kim worked in the agricultural and cooperatives section for most of her working life. During the Korean War, her efforts in rationing caught the attention of Kim Il-sung. Many time delegate to the Supreme People's Assembly (SPA), Kim Rak-hui rose in the ranks of the Workers' Party of Korea (WPK), becoming a full member of its Central Committee in 1970. She was appointed to the Politburo of the Workers' Party of Korea in 2010 and became one of six Vice Premiers of North Korea that year. She ran a committee to combat epizootic diseases. Choe Hwi is a North Korean politician. He is a Vice Chairman of the Workers' Party of Korea (WPK) and the chairman of the State Physical Culture and Sports Guidance Commission. Choe's portfolio as the Vice Chairman of the party covers workers' and social organizations affairs. Choe is also an alternate member of the Politburo of the WPK, member of the Central Committee of the WPK, and a deputy to the Supreme People's Assembly. ↑ Barry Turner (2013). The Statesman's Yearbook 2014: The Politics, Cultures and Economies of the World. Springer. p. 746. ISBN 978-1-349-59643-0. However, it is widely understood that Kim, like his late father, yields absolute power over the state, party and army. ↑ Korea Focus on Current Topics. Korea Foundation. 2000. pp. 109–110. Kim Jong-il exercises near absolute power based on juche thought and respect for his revolutionary legacy. ↑ Economic Research Institute for Northeast Asia (1999). Japan and Russia in Northeast Asia: Partners in the 21st Century. Greenwood Publishing Group. p. 138. ISBN 978-0-275-96382-8. On February 14, 1974, Kim Il Sung announced the ten major principles to the party leadership, thus forcing power rivals to accept his "divinity, absolutism, and unconditionality" as was articulated in the principles. As a result, one may consider Kim Jong Il's control over North Korea, at least for the time being, as absolute, because he has made it almost impossible to openly advocate ideas directed against his father or express discontent with the system. ↑ Savada, Andrea Matles. "Mass Organizations." North Korea: A country study. Washington: GPO for the Library of Congress, 1993. ↑ Petrov, Leonid (12 October 2009). "DPRK has quietly amended its Constitution". Leonid Petrov's KOREA VISION. Retrieved 12 September 2015. "Song of General Kim Jong-il"